He’s saved Floridians billions. Will lawmakers keep him in the job? Florida’s Office of Public Counsel is responsible for representing consumers when utilities ask for rate hikes. When Tampa Electric wanted a $134 million rate hike in 2013, James Ray “J.R.” Kelly and Florida’s Office of Public Counsel fought them down to $57 million. When Florida Power & Light wanted a $1.3 billion rate hike, Kelly was there, too, fighting it down to $811 million. In all, Kelly and the Office of Public Counsel have saved Floridians billions of dollars in potential rate hikes since he took charge of its staff of 15 lawyers and accountants in 2007. But since then, Florida’s House and Senate haven’t reconfirmed him in the job. That could change — or not — this year. On Thursday, the group that’s supposed to choose who leads the office — the Legislature’s Joint Committee on Public Counsel Oversight — met for the first time since 2013. And most of their questions Thursday were about what Kelly’s office does, and what they were supposed to do. Sen. Bobby Powell, co-chair of the committee, asked Kelly how they were supposed to reappoint him. Kelly responded that he wasn’t sure. Since he took the job, the House Speaker and Senate President, who set his budget, have told him, “Unless we need something, you keep doing your job,” Kelly said. Kelly’s office has an obscure but important job. When electric, water or gas utilities ask Florida’s Public Service Commission for the ability to raise hikes, his office is the one that represents consumers before commissioners. 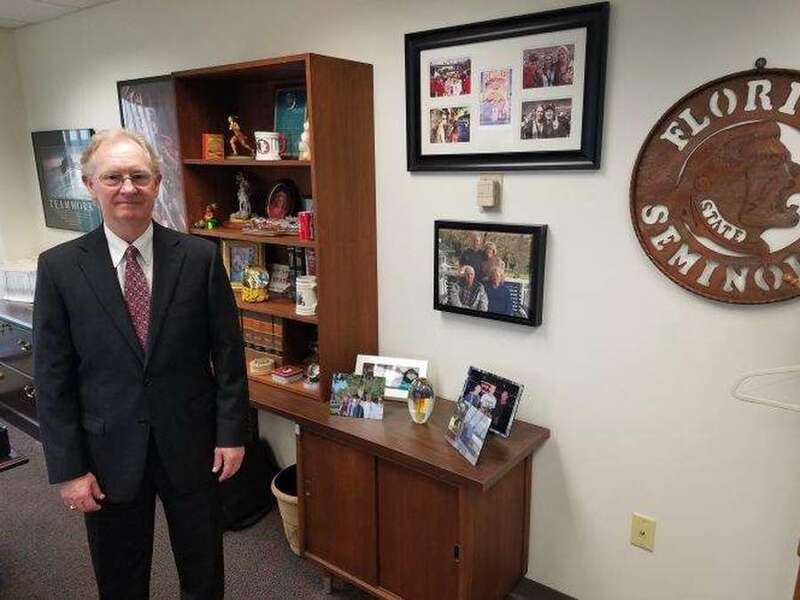 His office, created by the Legislature in the 1970s, negotiates with the utilities and has appealed cases to the state Supreme Court. The office is usually successful in lowering rates, saving Floridians billions over the years. Kelly said he isn’t asking for more positions. His budget is a meagre $2.3 million, half a million less than when he started 12 years ago. Lawmakers on Thursday seemed willing to reappoint him. They’ll have at least one more meeting to decide, but they said they wanted more details on the office’s activities. Kelly said after the meeting that he welcomed the extra scrutiny. “Only an ignorant person would say you don’t have room to improve,” he said.